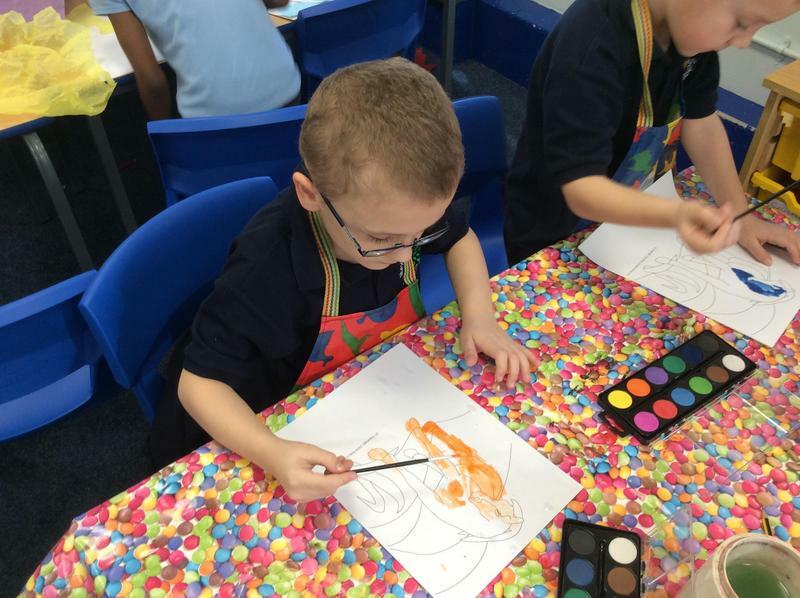 Year 2 enjoyed Art Day and studying the artist Franz Marc. 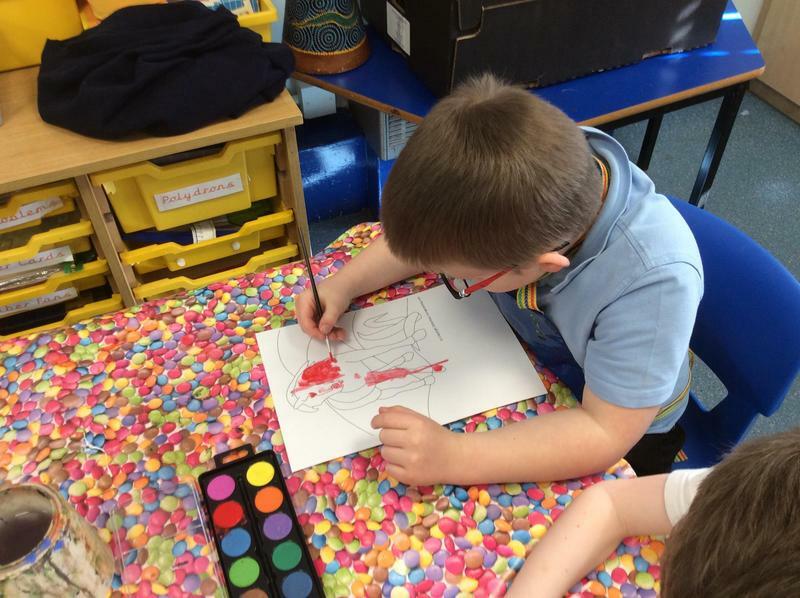 We have been learning about Chinese Year and trying to use chopsticks. 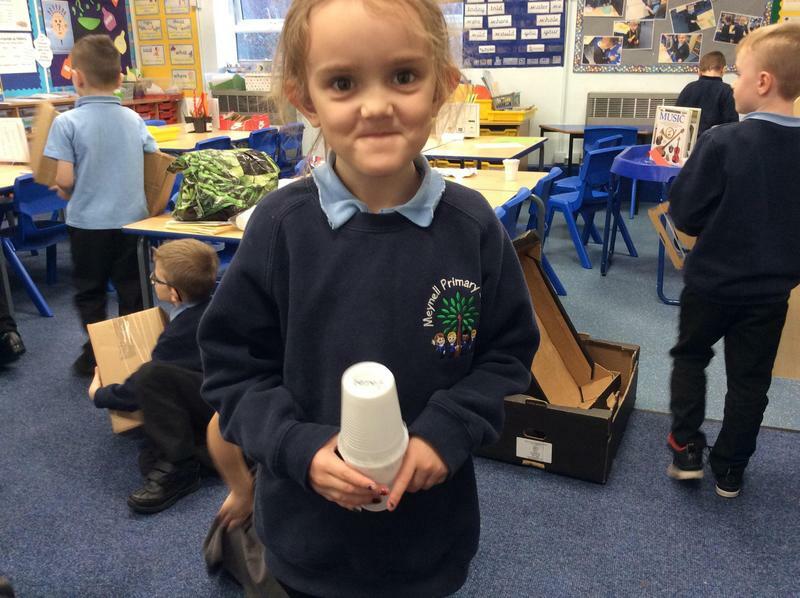 In maths, we have been looking at how we can make the same amount of money using different coins. 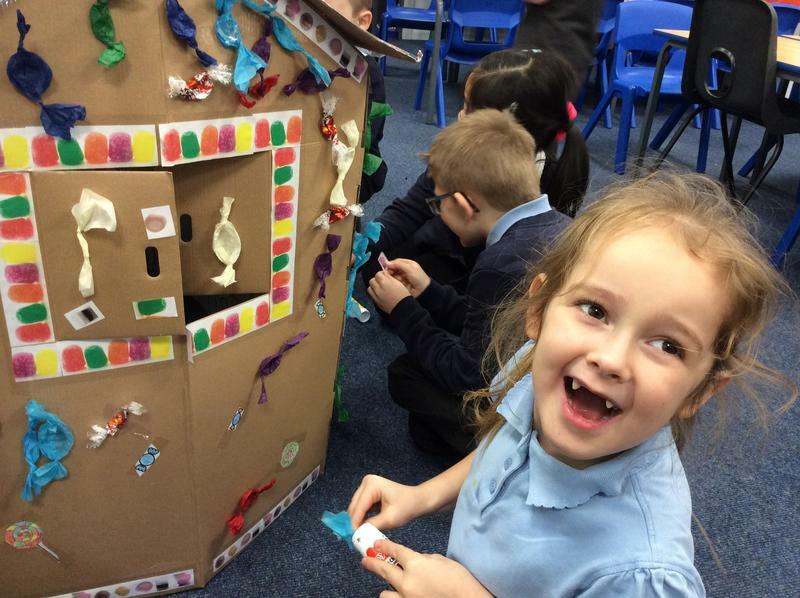 We have even decorated our own gingerbread house with sweets! 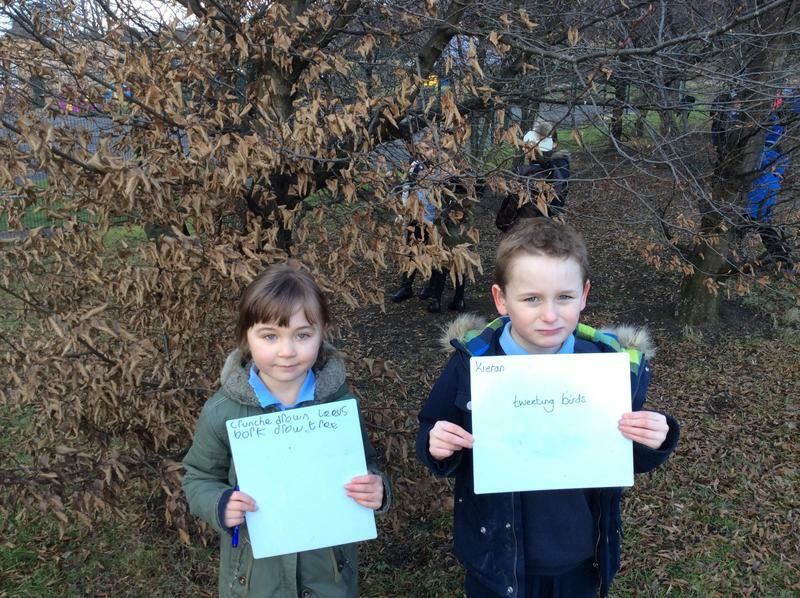 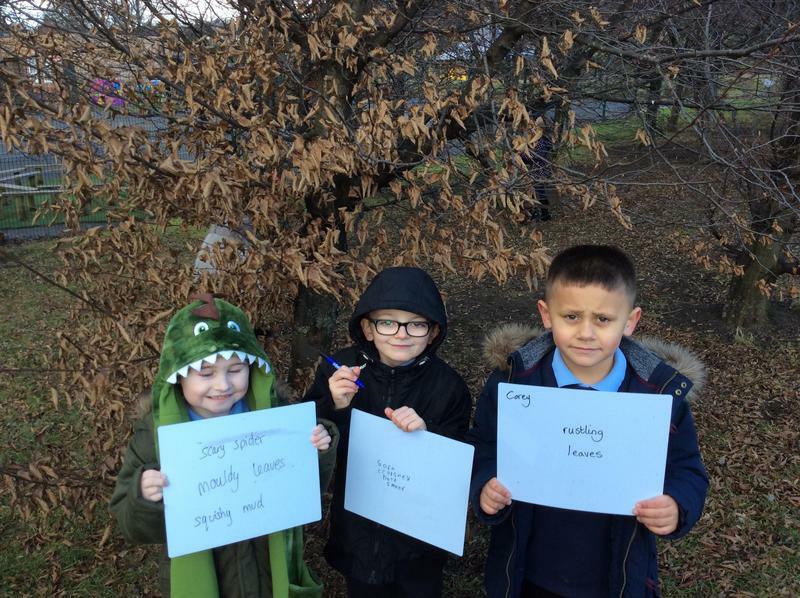 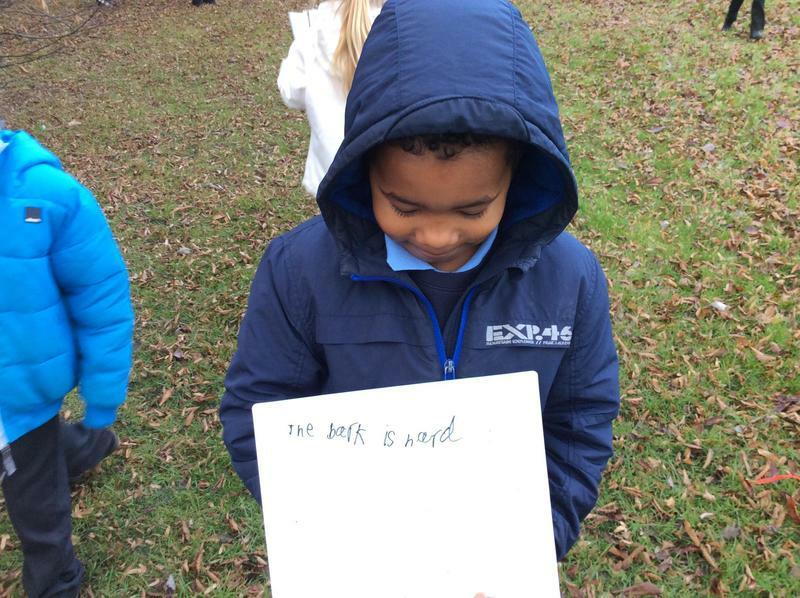 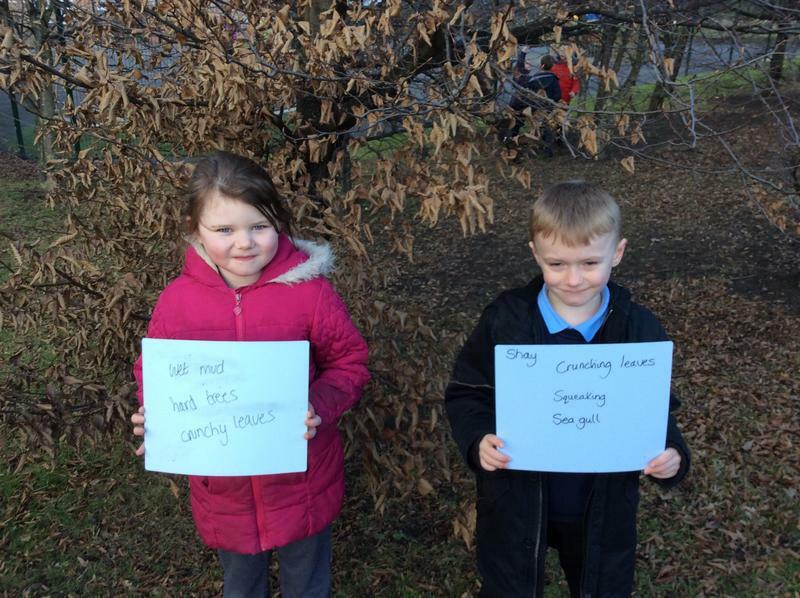 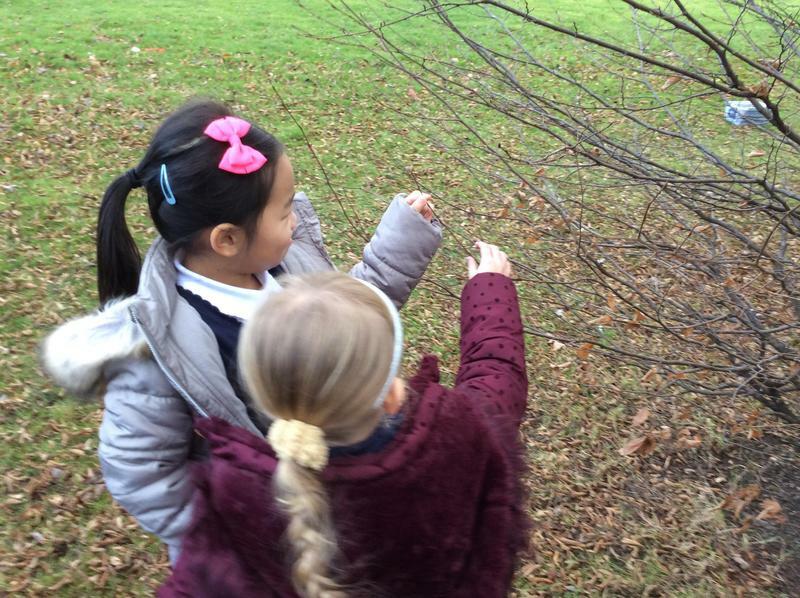 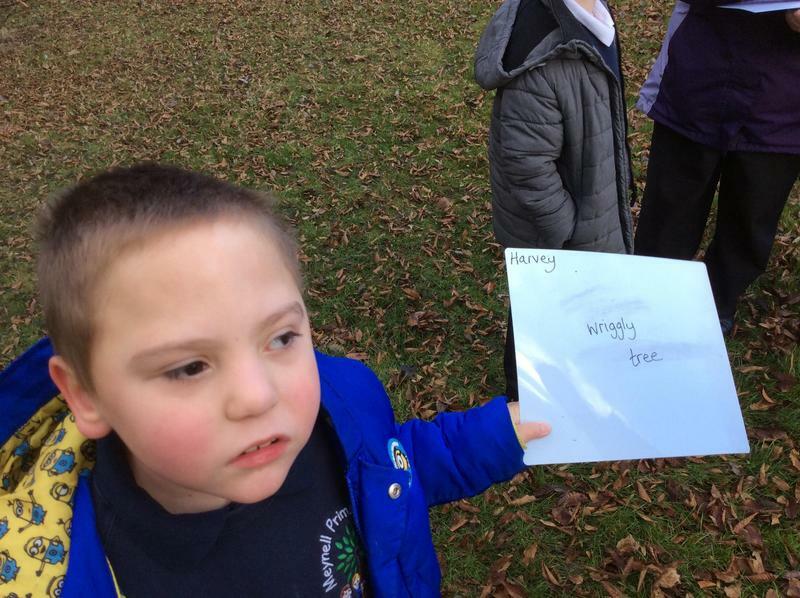 We went for a walk in the woods and described the setting using adjectives. 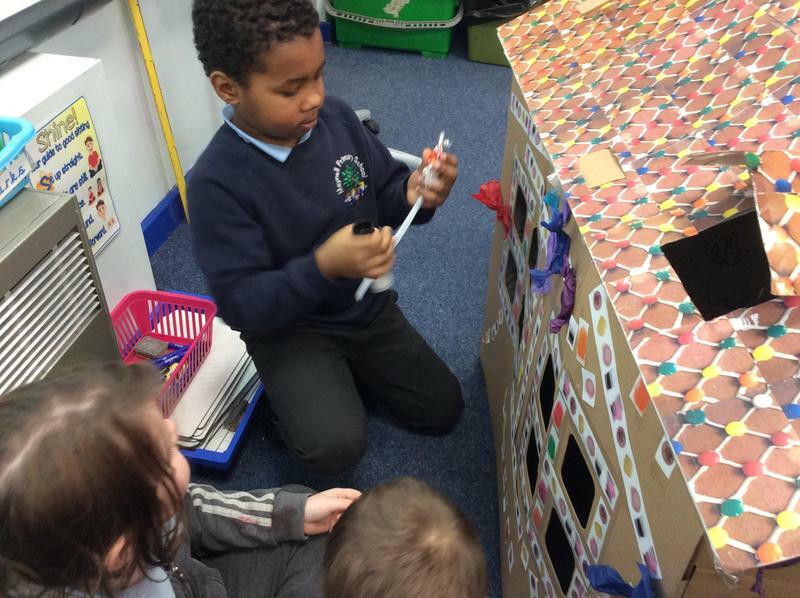 We have tasted and described sweets that would be on the gingerbread house. 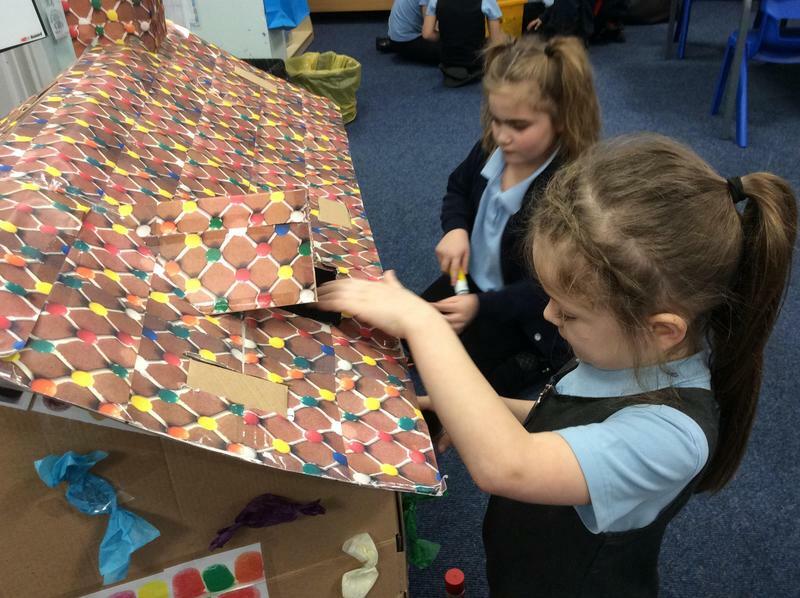 We have started learning the story of Hansel and Gretel. 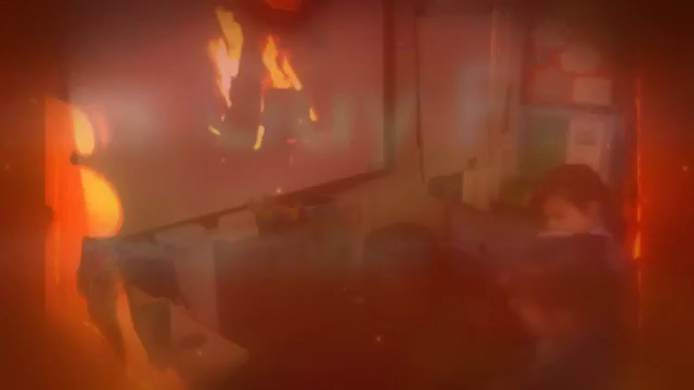 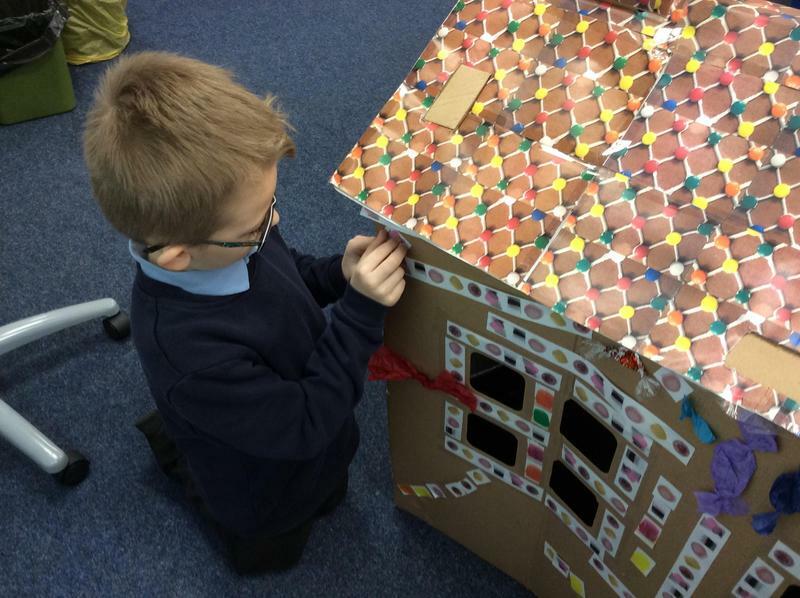 In Year 2 a mysterious house appeared in our classroom. 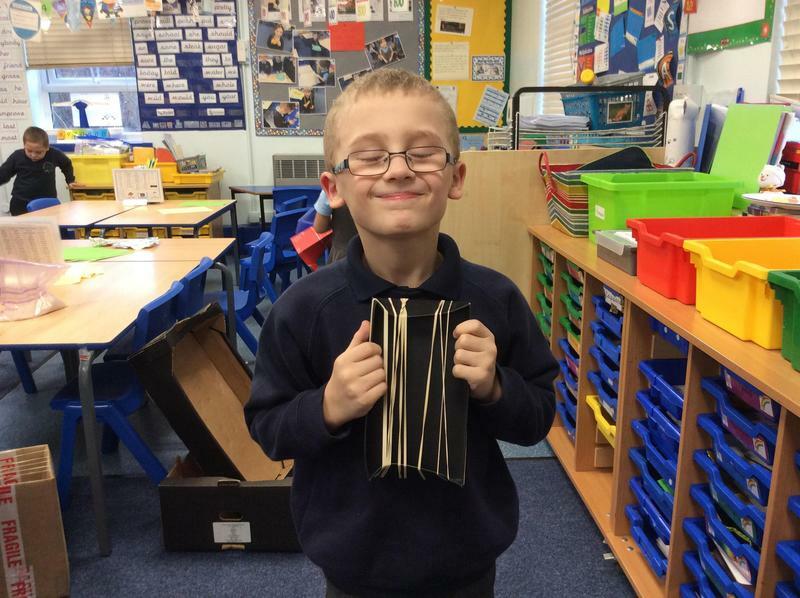 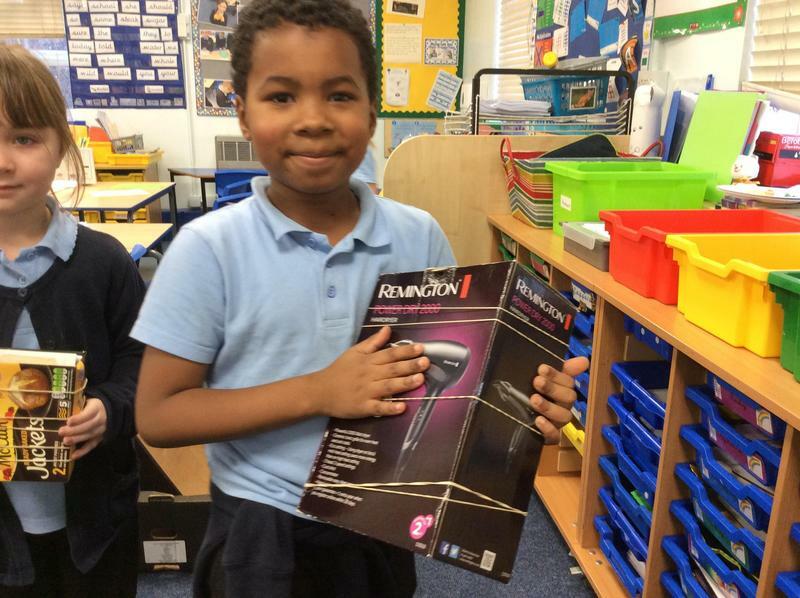 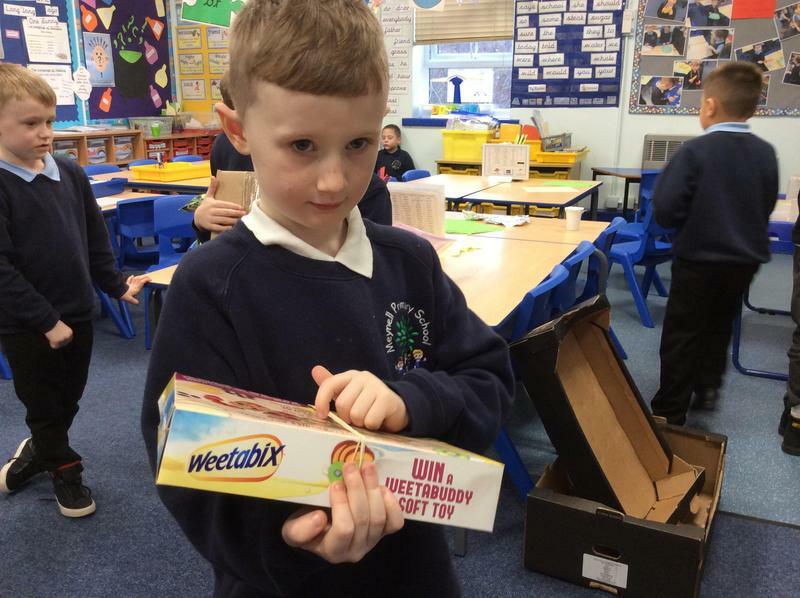 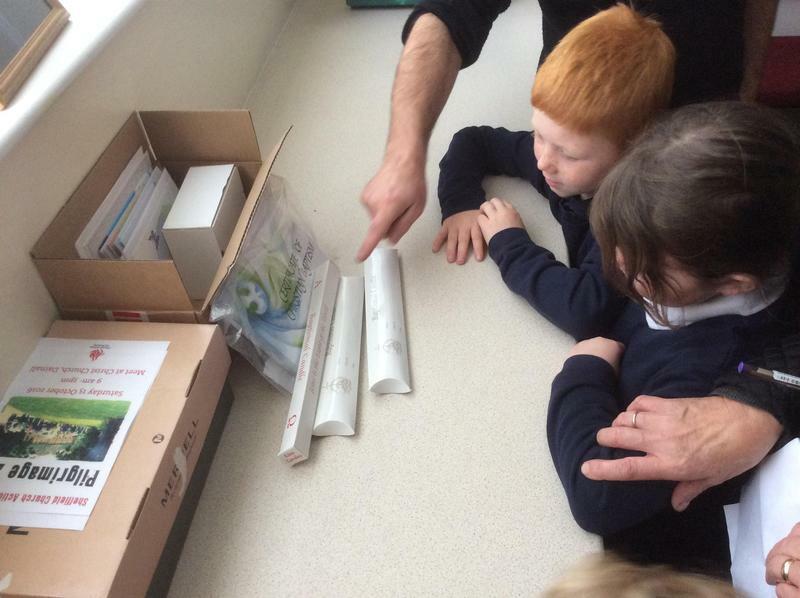 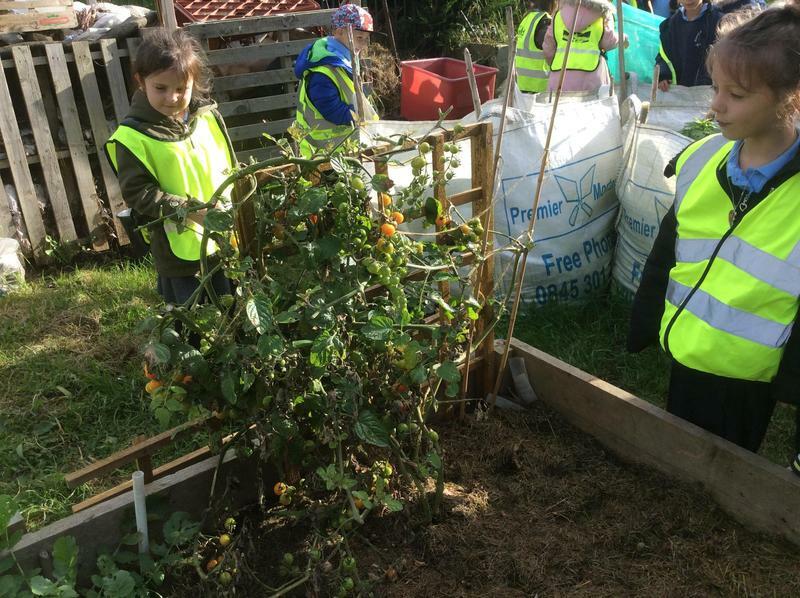 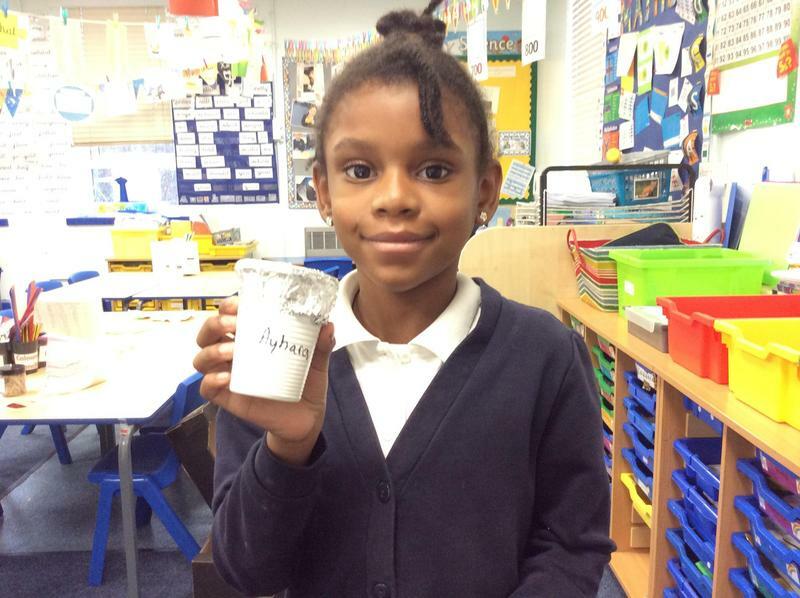 We have used recycled materials to make our own musical instruments! 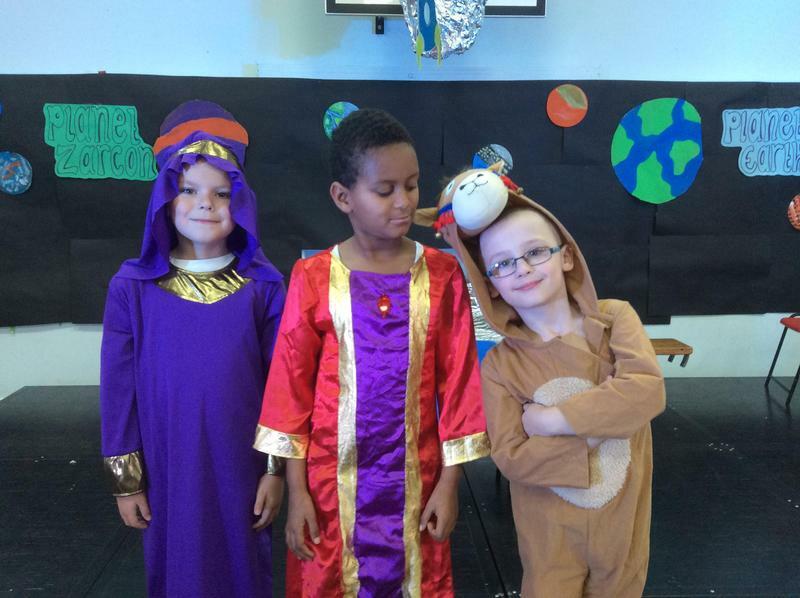 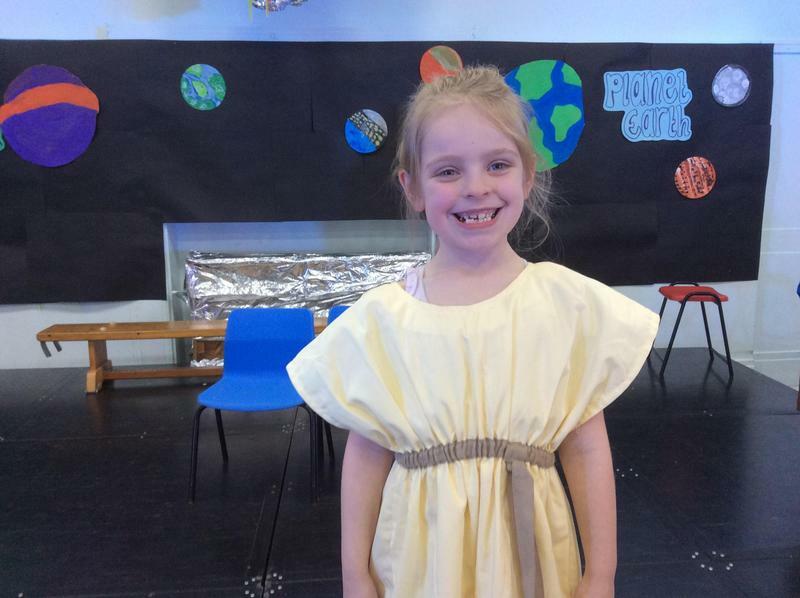 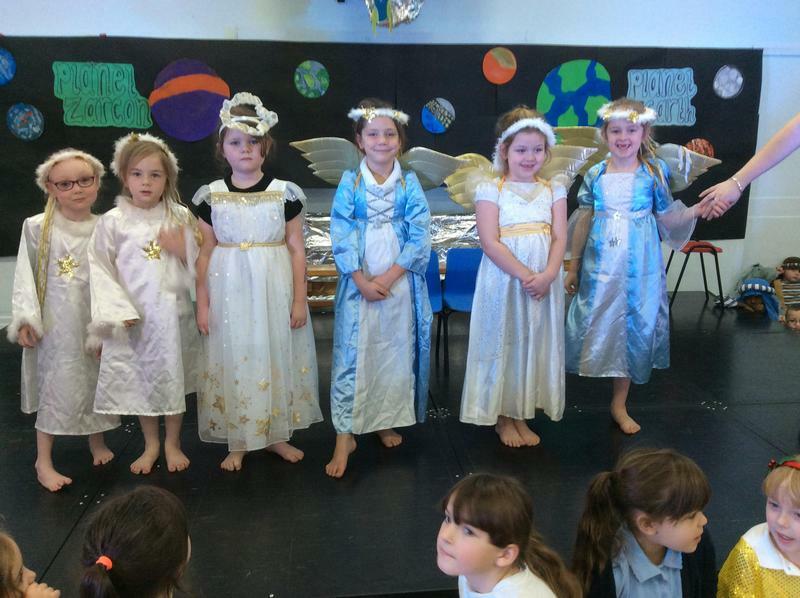 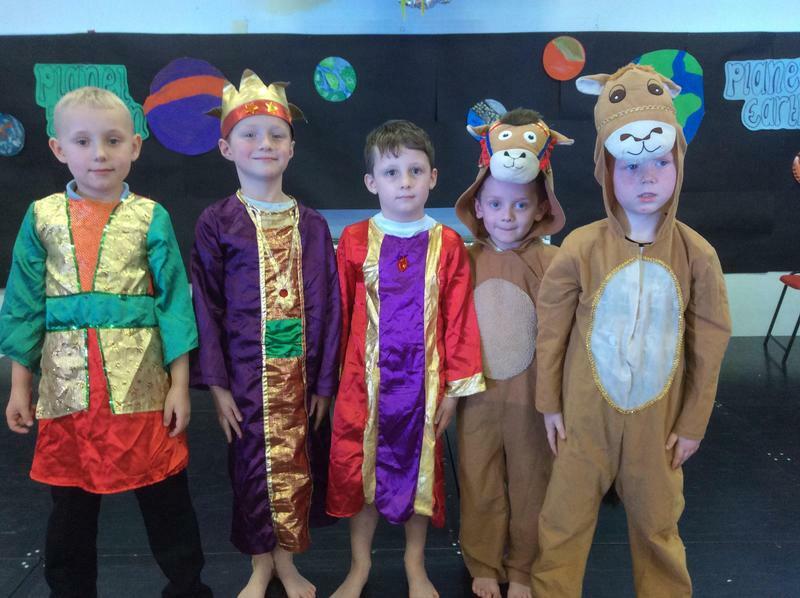 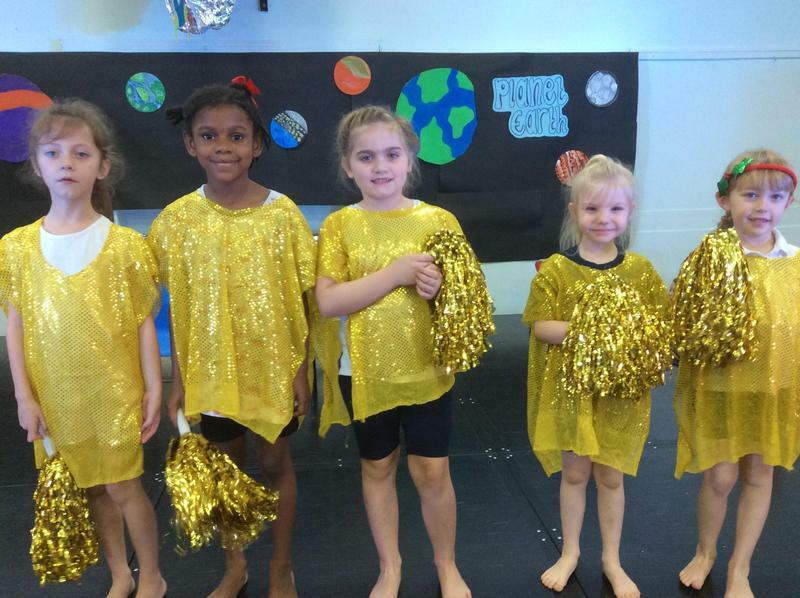 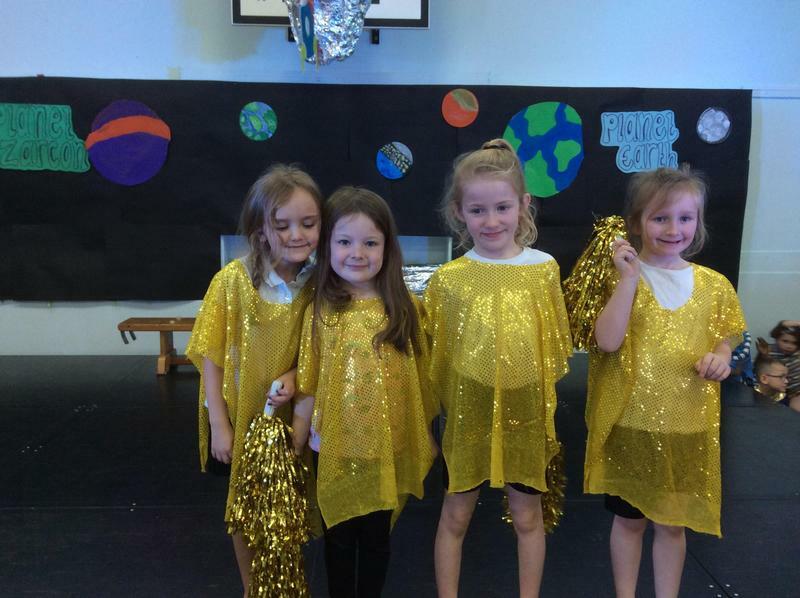 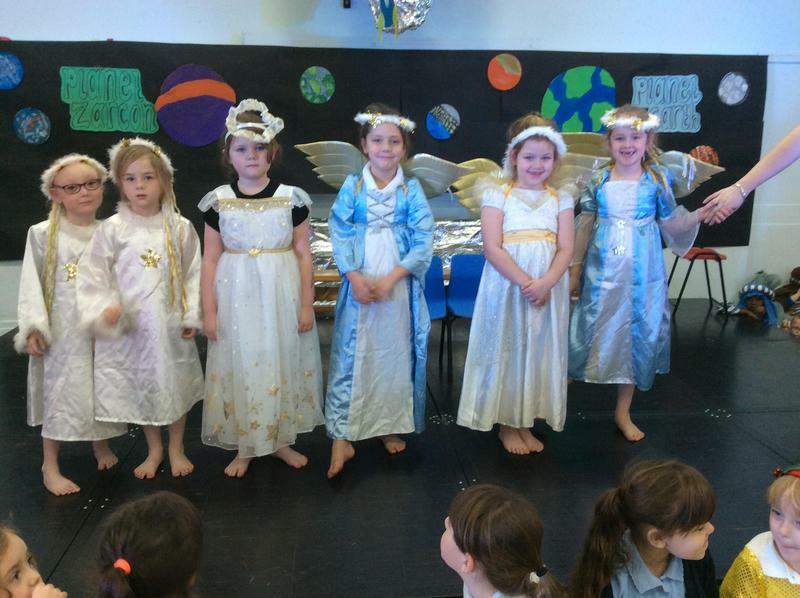 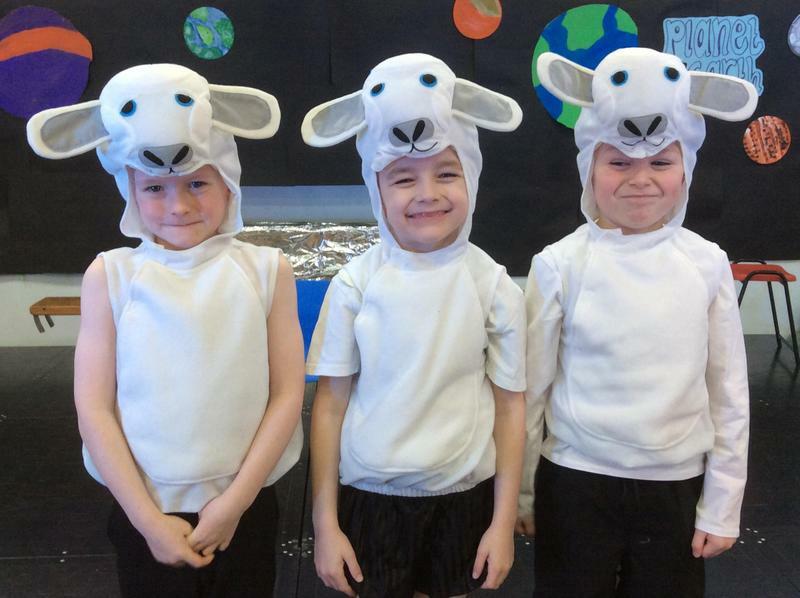 Year 2 really enjoyed dressing up for their Nativity performance! 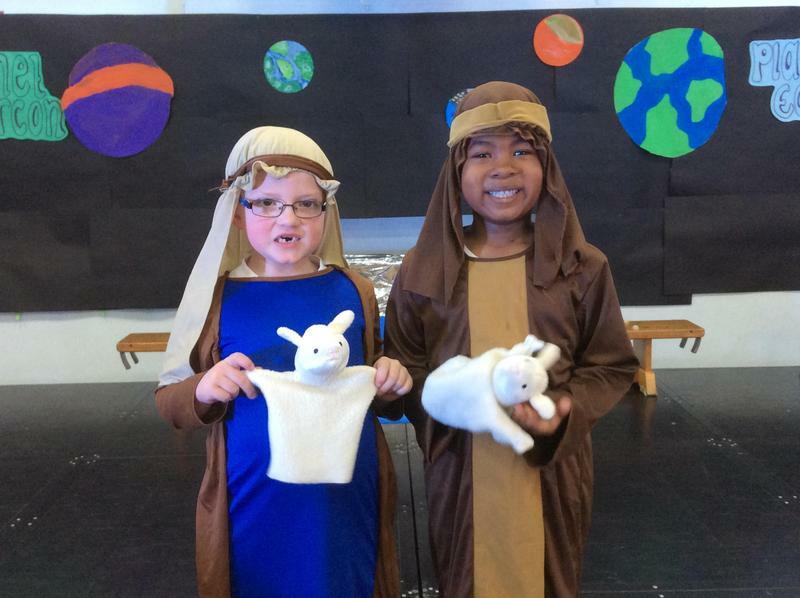 We have started learning the Nativity Story by looking at different versions of the story! 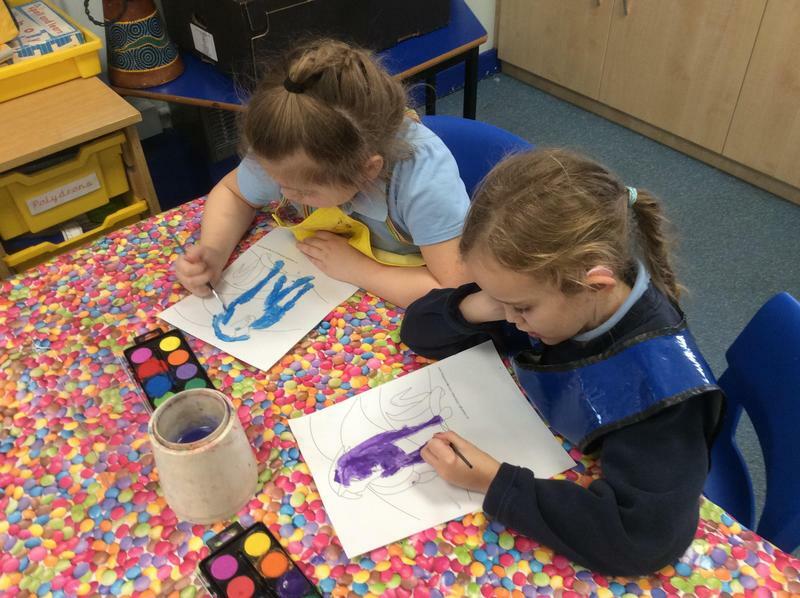 Year 2 making clay Divas for our topic symbols of light. 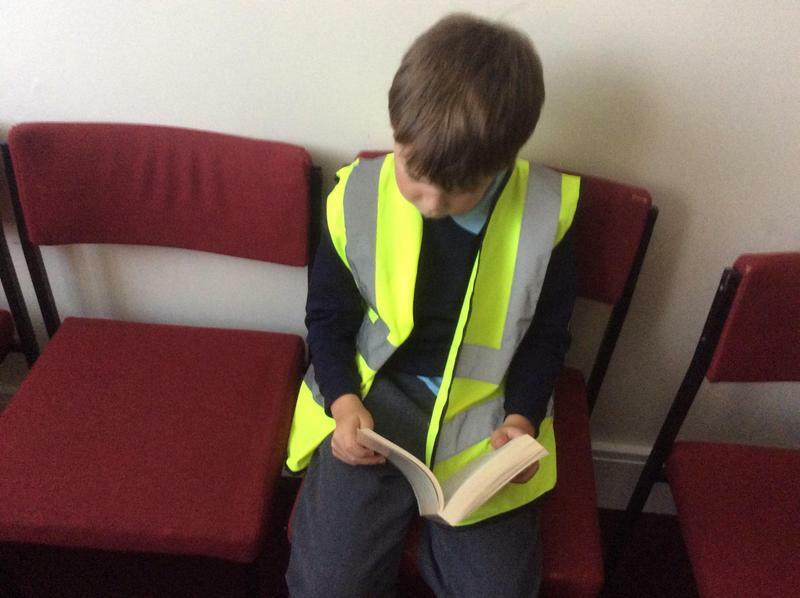 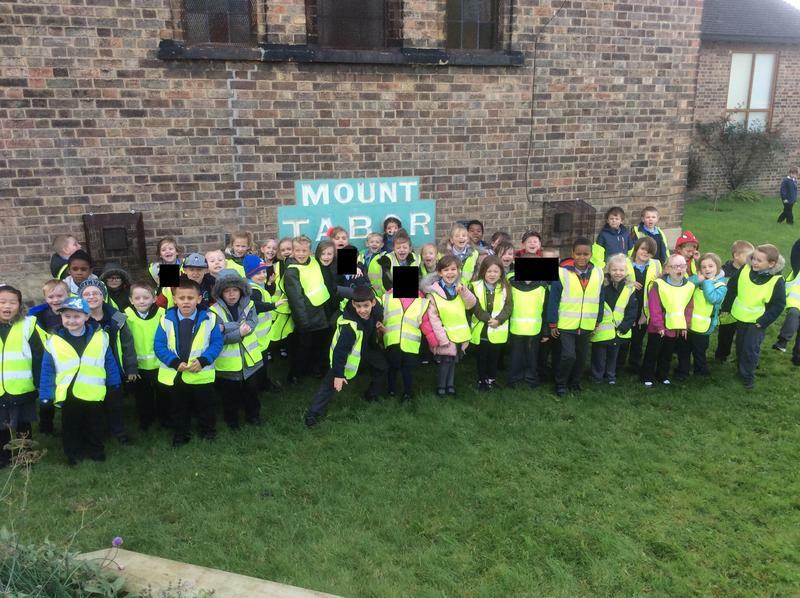 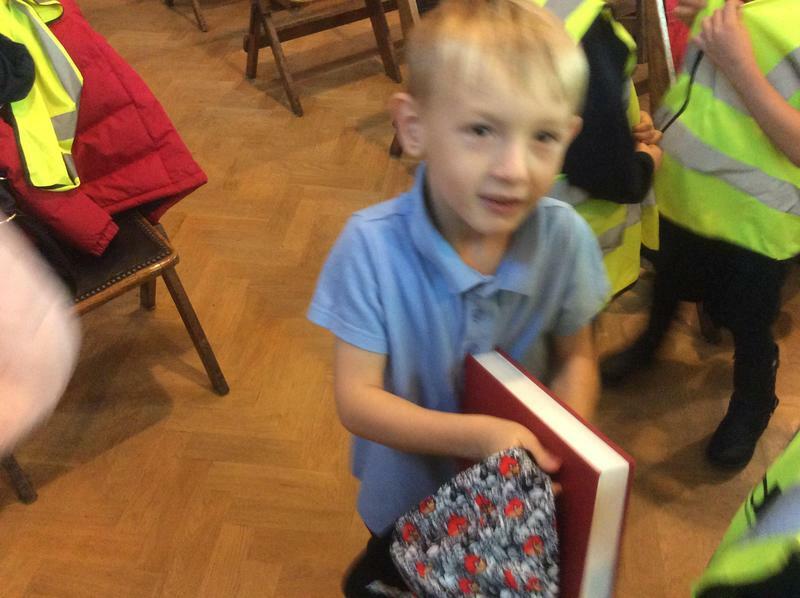 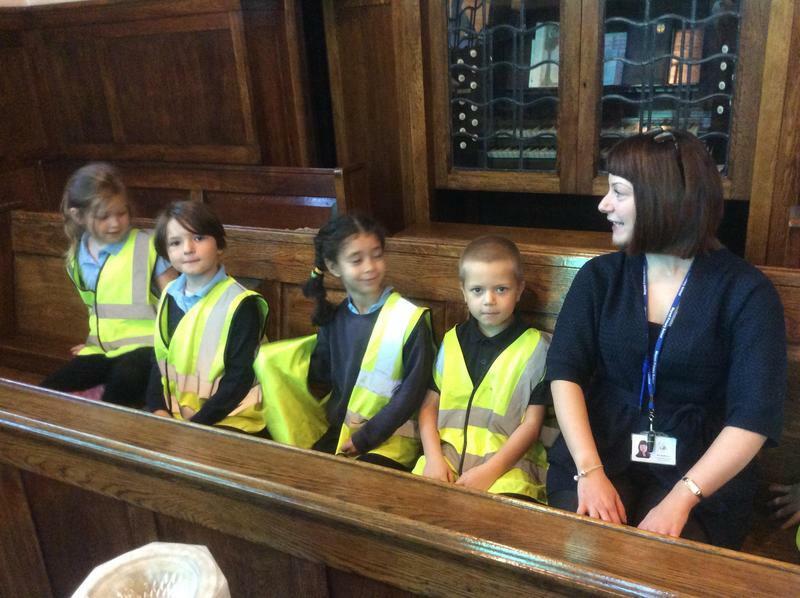 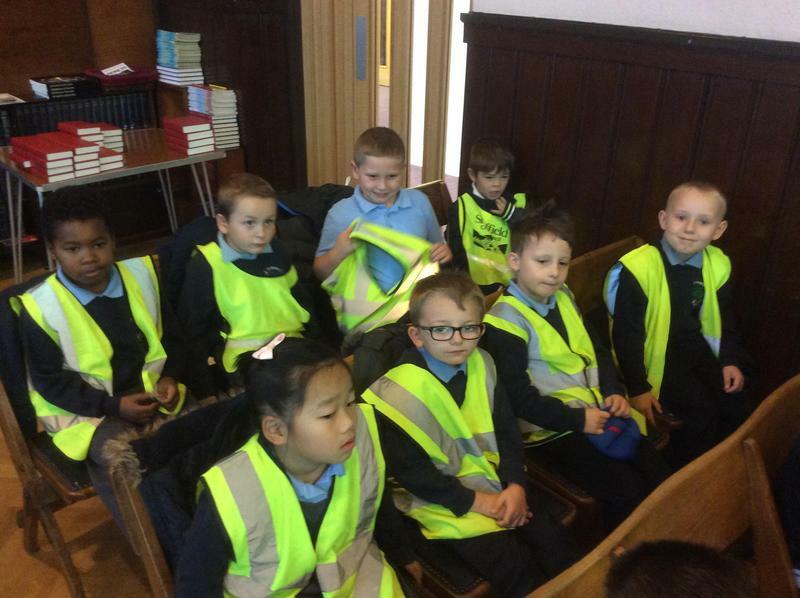 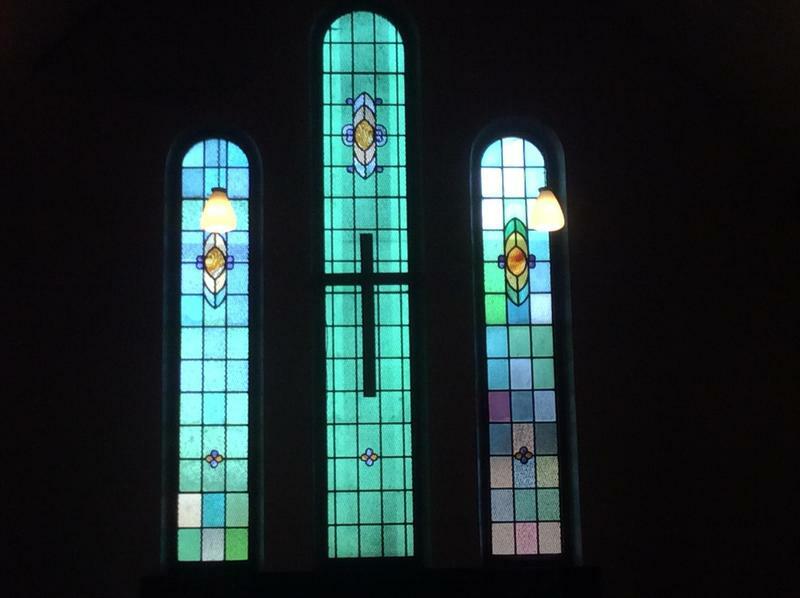 Year 2 went on a trip to our local church to look at symbols of light. 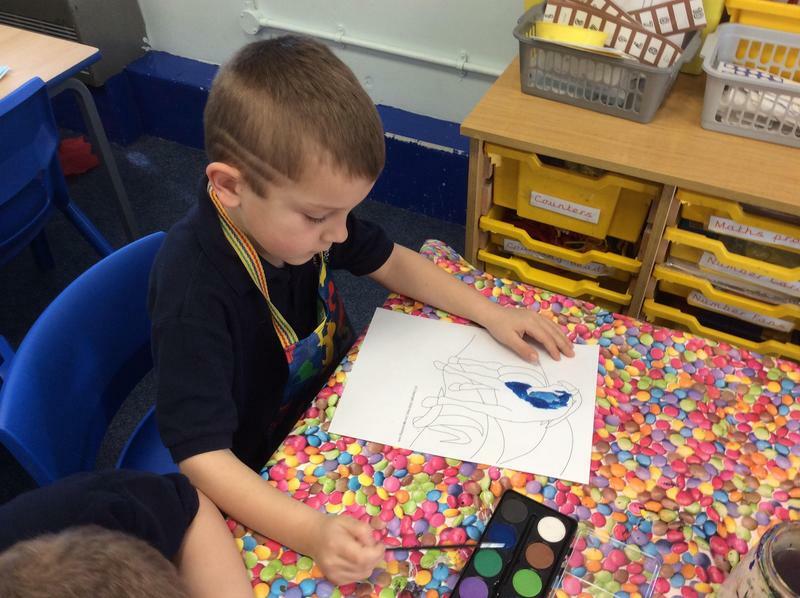 Miss Ives' class creating part of our class flag! 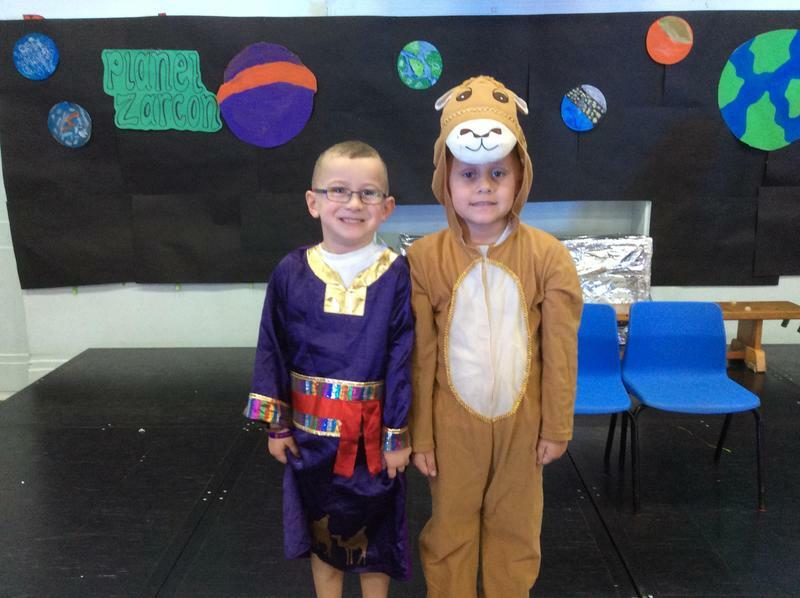 We have been learning about Neil Armstrong and his voyage to the Moon. 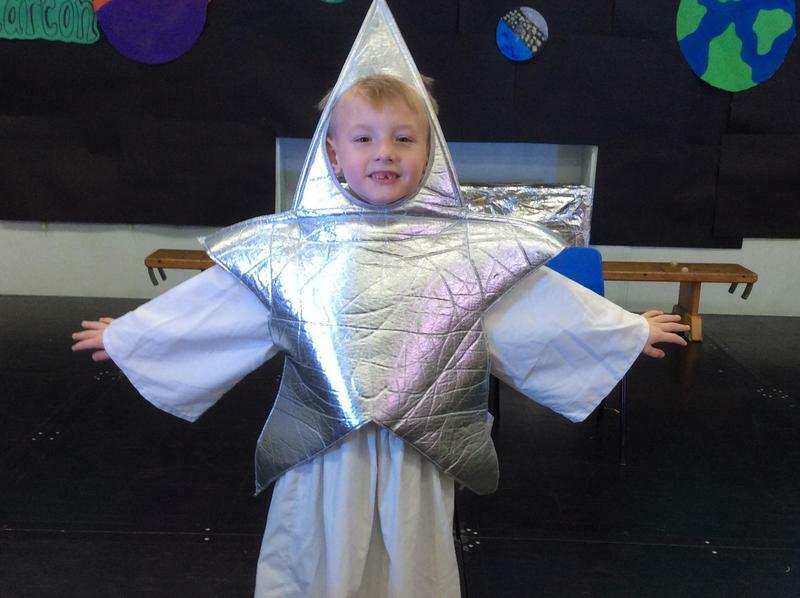 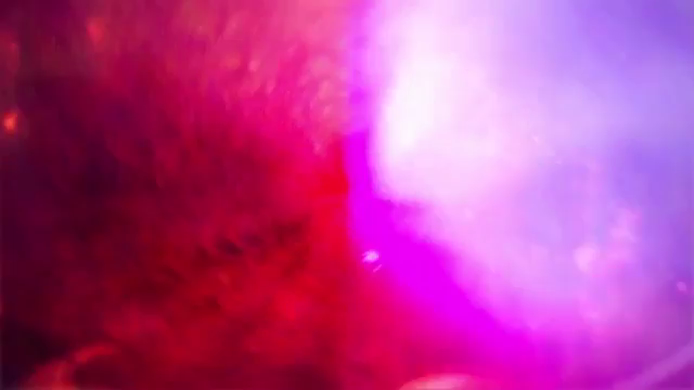 We pretended to be Neil Armstrong and described how it would feel to walk on the Moon. 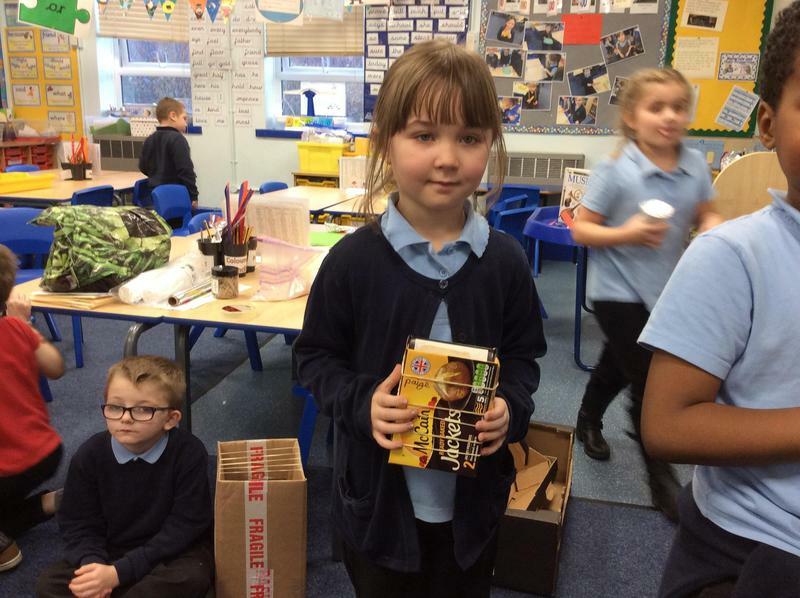 Also, we have learnt facts about his life and written a biography. 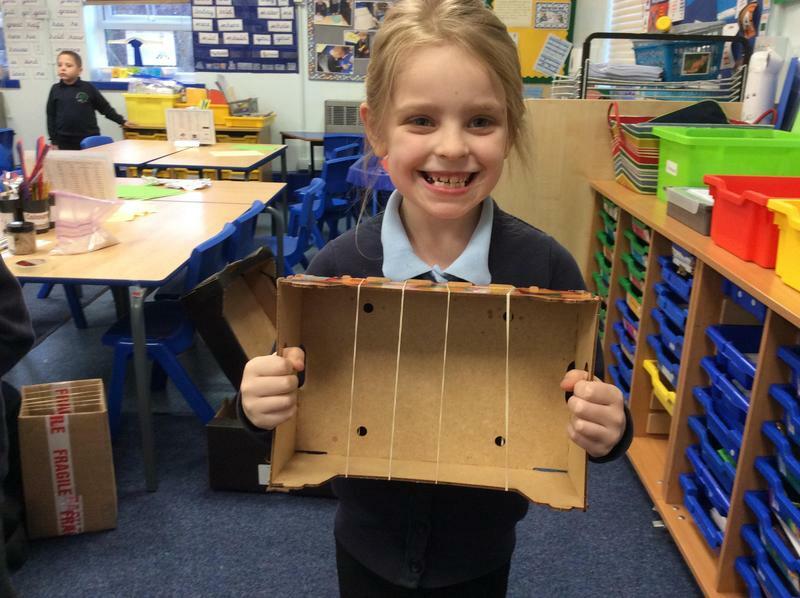 We have really enjoyed designing, making and testing a Moon buggy that Neil Armstrong could use on the Moon!